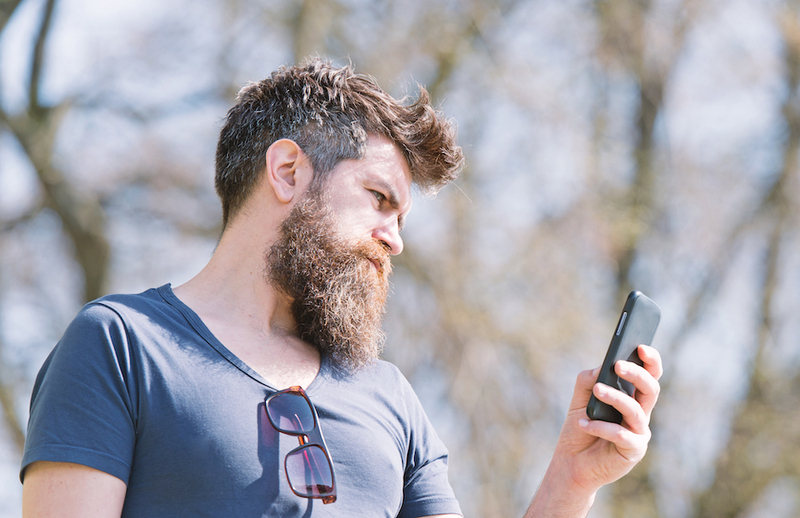 Getting users to download an app is a challenge faced by app developers the world over. 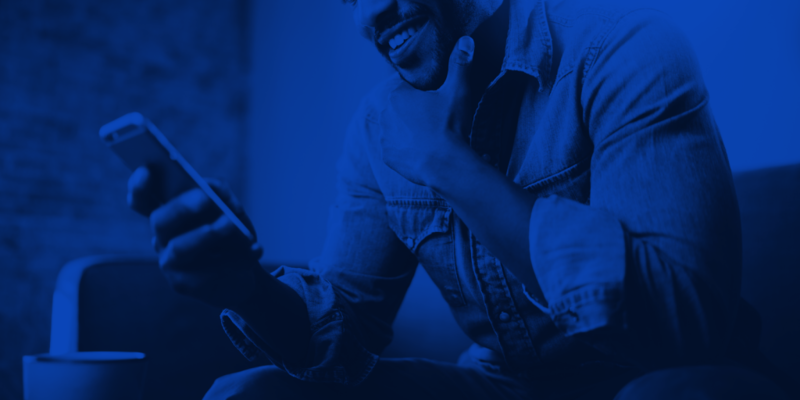 As advertisers worry about their user acquisition strategy, many questions need to be answered. When do users download most? Which countries are growing the fastest? Where are gaming apps most popular? 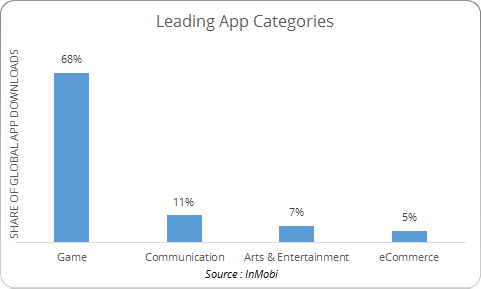 InMobi’s latest report - The State of Mobile App Downloads 2014 Q3 answers these and many more questions. Here we present insights and interesting patterns based on research conducted on the InMobi network. Are mobile users downloading apps? Nearly 17,000 apps hit the app store every week, bombarding users with an array of choices. Mobile app downloads measured on the InMobi network witnessed a 32% growth in Q3 as compared to 13% in Q2. This could in-part be attributed to the growing smartphone penetration. Where can I find mobile app users? 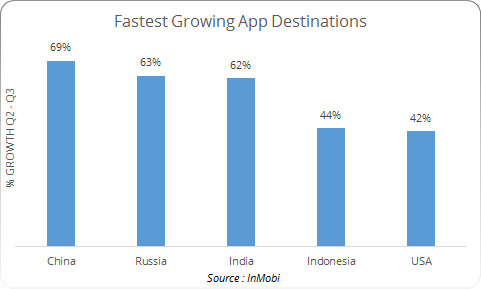 While USA continues to lead the world of mobile app downloads, four of the top 5 app downloading destinations are in Asia. Not only do they account for a substantial share of downloads, they are also some of the fastest growing nations. With 69% Q-on-Q growth, China leads the way, showcasing some promise as a major app economy in the coming quarters. India and Indonesia aren’t far behind with over 60% growth. A majority of these countries are mobile first - mobile devices are their primary source for internet access.  This bodes well for advertisers and developers. How many apps do users download? 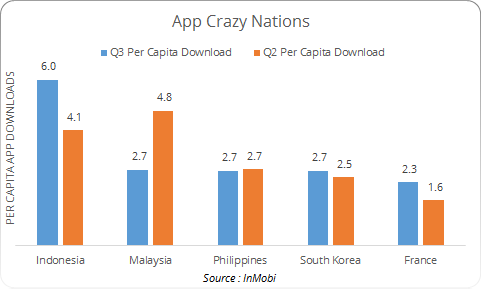 Along with high share of downloads, Asian countries also account for some of the highest per capita  app downloads. 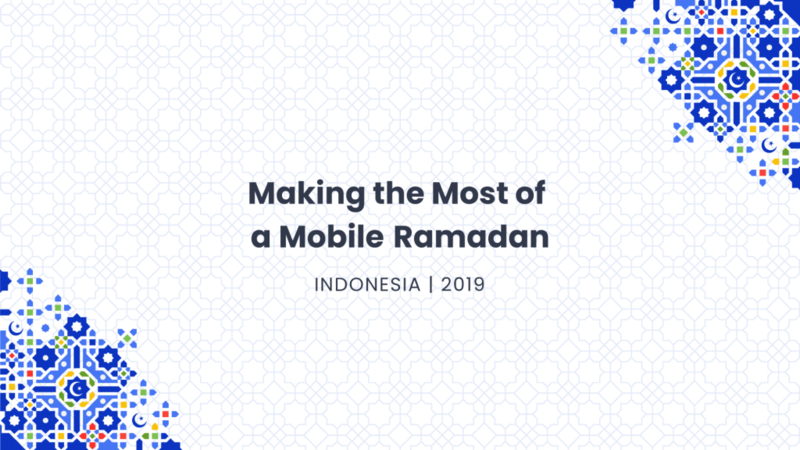 Indonesia leads with an average of 6 mobile app downloads per 100 users, followed by Malaysia, Philippines and South Korea at 2.7. 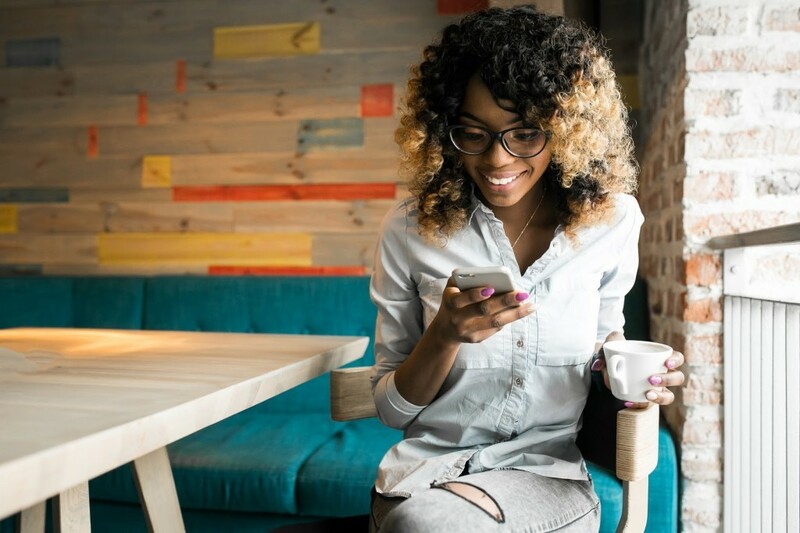 The majority of these economies are still in their early phases of smartphone adoption and users are keen to discover new apps thus driving high per capita app downloads. However, over time, users will accumulate a portfolio of apps and will prefer sticking to them, thus levelling the curve. Which app categories are most popular? At 68% share of app downloads, Gaming continues to be the most favoured app category amongst smartphone users.  It is also one of the fastest growing categories with a 40% Q-on-Q growth rate. This growth is primarily being led by developing nations such as China, Indonesia, India, Russia and Malaysia. Communication apps remain the second favorite with an 11% share of downloads. When are apps most downloaded? 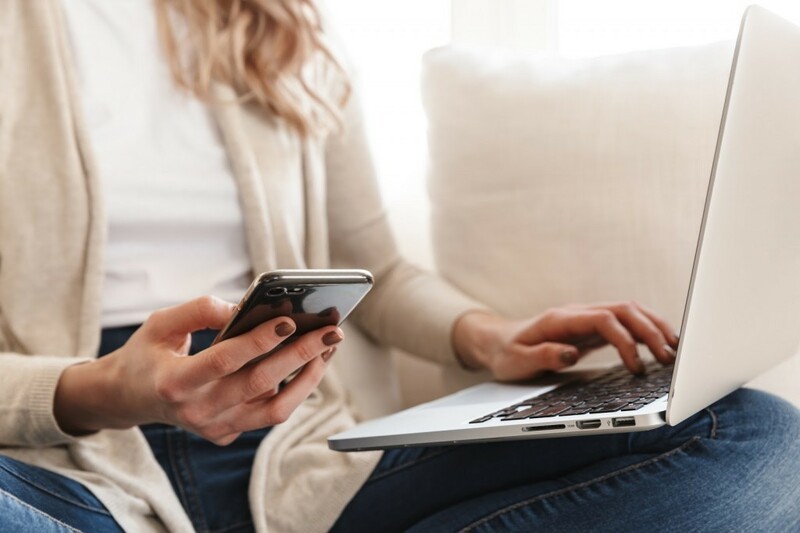 When looking to reach your audience, it is imperative that you spend your time and effort when your users are most active. 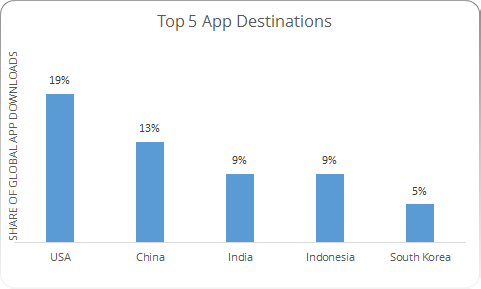 As seen on our network, the top 5 app download destinations follow a similar time pattern. Post work hours are the unanimous choice of time for downloading apps. 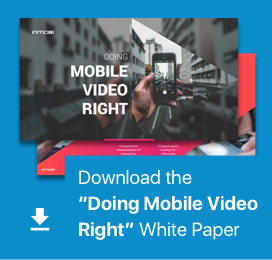 With increasing smartphone penetration, and rising media time spent, advertisers today have a wider user base to explore presenting an immense opportunity. 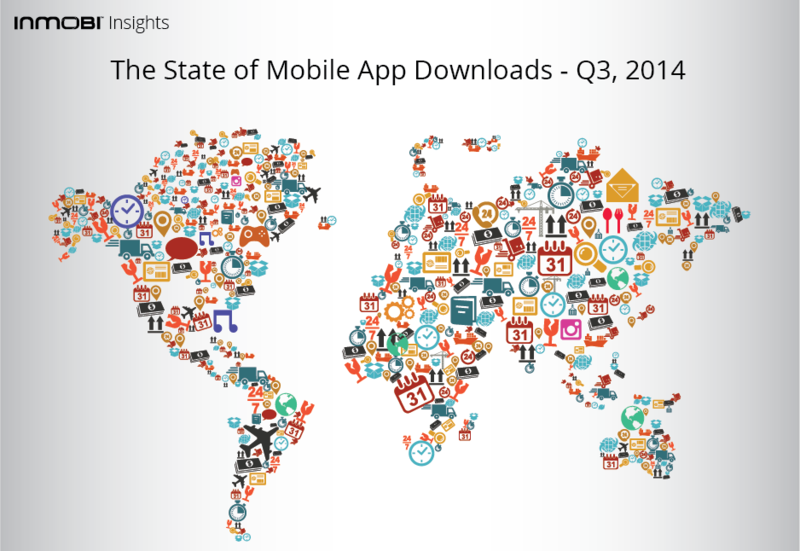 For an in-depth look at the app download trends of Q3, download The State of Mobile App Downloads 2014 Q3 Report. Interested in understanding more about this research? Reach out to our insights team at insights@inmobi.com.